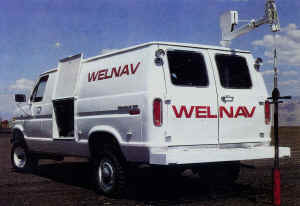 Today, Welnav has four Surface Recording Gyro vans operating in Nevada. Welnav manufactures a complete product line of magnetic and gyroscopic survey instruments! Therefore, we can quickly add additional services as required by our customers. To best serve your needs, our survey vans are equipped with Cellular Phones. The Welnav motto is Save That Rig Time.